A couple weeks ago, I had the pleasure of meeting the uber talented and ever so humble Japanese-born Milan-based designer during his first ever visit to Australia. 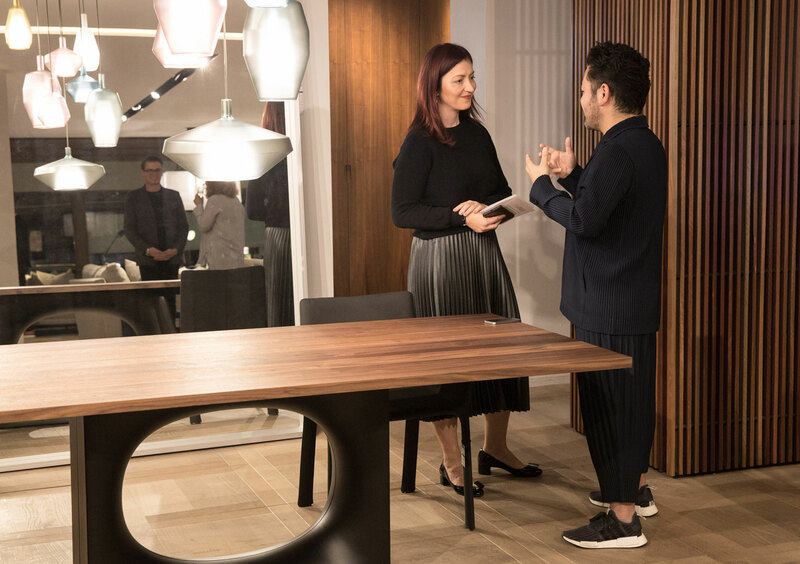 I was incredibly excited to have the opportunity to chat to Kensaku as we launched his stunning at ‘s beautiful Sydney showroom. What an honour! I must admit, I was largely unaware of Kensaku’s work up until quite recently, even though Holo table happens to be one of my favourite launches from Salone del Mobile 2016. Once I did a little bit of digging, I realised I’d admired many of Kensaku’s other pieces from afar, making me even more excited to meet him. Here’s why my excitement levels escalated quickly. 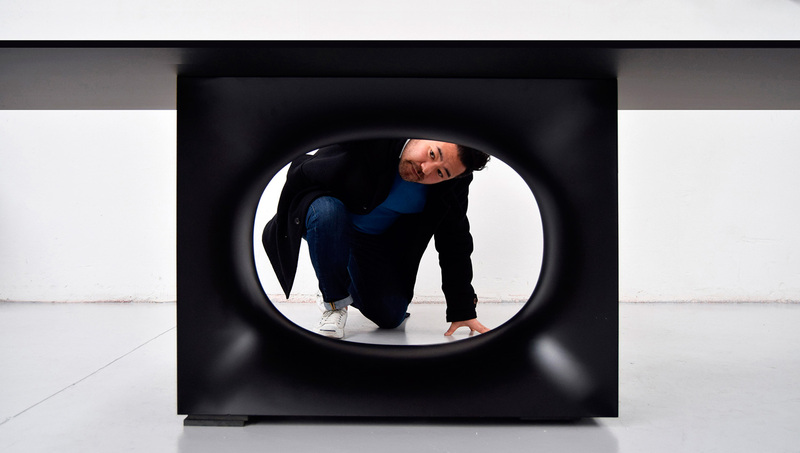 After finishing high school in Japan, Kensaku moved to Milan where he received his Master’s degree in Industrial Design at the Scuola Politecnica di Design in 1999. 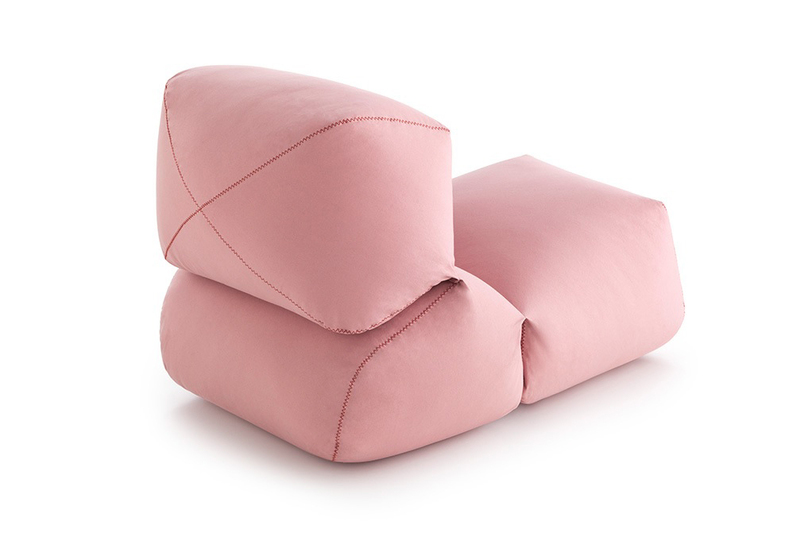 In 2004, he joined the design team at Lissoni Associati where he cut his teeth for 8 years. In June 2012, he moved to London to join BarberOsgerby studio. Three years later, in June 2015, Kensaku established his own studio in Milan, and he hasn’t looked back ever since. 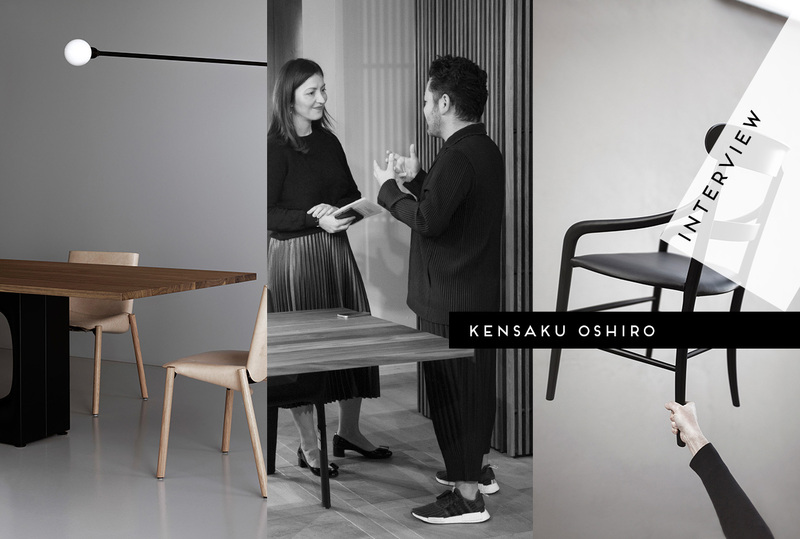 During the time of working for some of the most pre-eminent design studios of our time, Kensaku managed to participate in numerous exhibitions and competitions, obtaining a range of prestigious international awards. 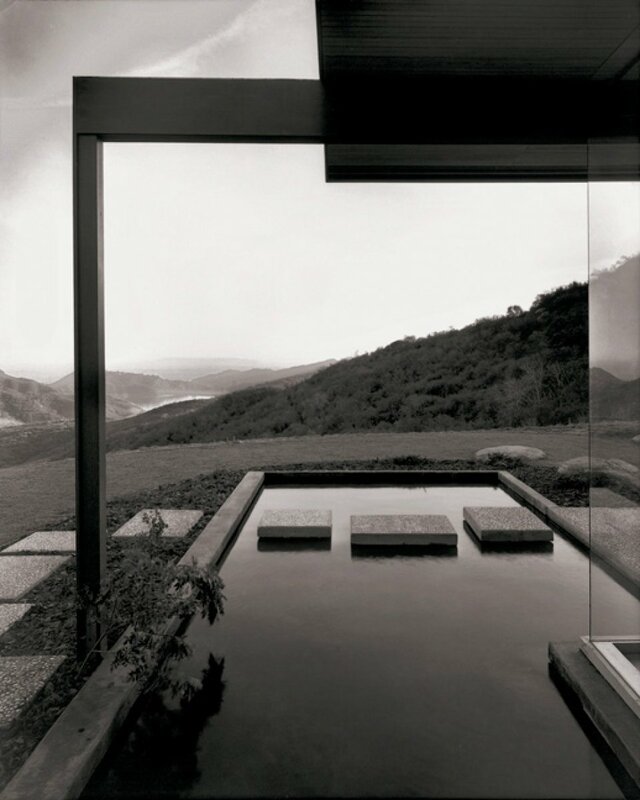 In 2006, he was the recipient of Design Report Award at SaloneSatellite Milano. In 2008 he received First Prize at Red Dot Award for Product Design. As if this wasn’t impressive enough, Kensaku managed to find the time to work on freelance basis with a bunch of high profile clients, while holding a demanding full time job. Over achiever alert! Holo table for Kristalia. 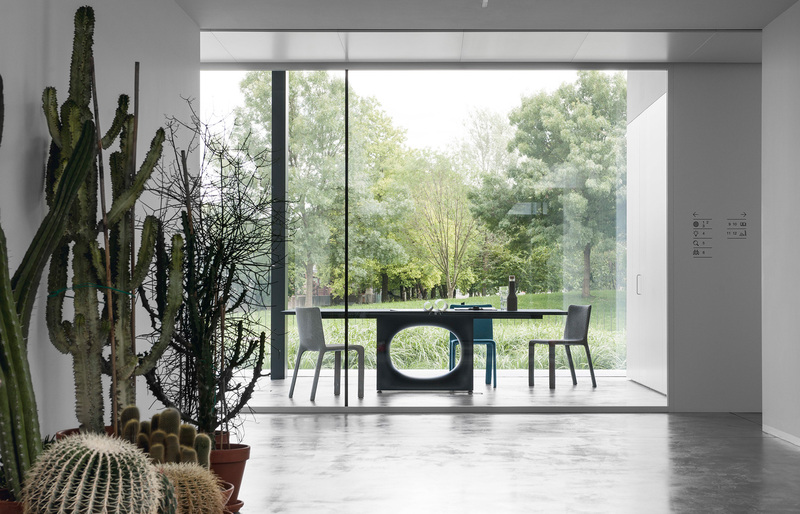 The table features an original base with an oval hole softly moulded in a metal sheet, made using a process that involves many moulding and bending phases. 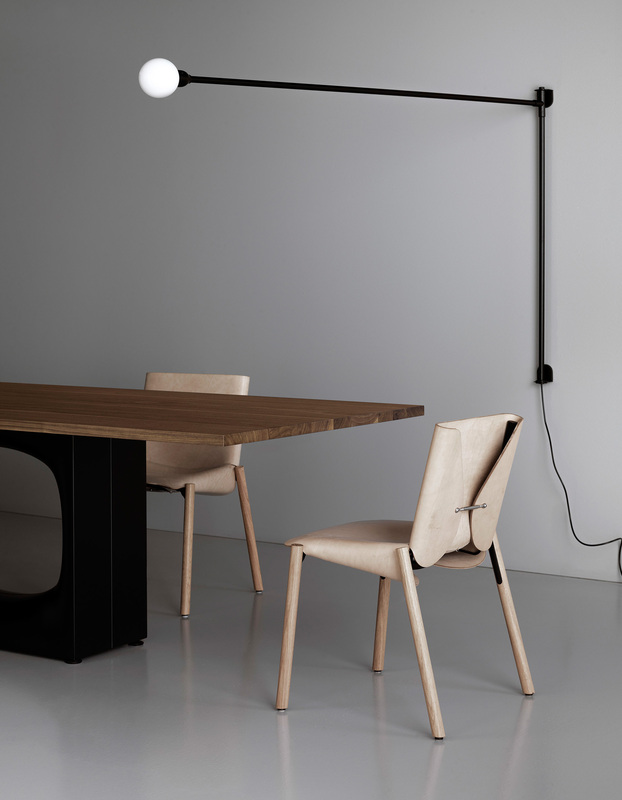 The base is available in various finishes and supports a thin laminate or solid wood top. Available from Fanuli. Kensaku Oshiro with his Holo table for Kristalia. Holo table for Kristalia. Available from Fanuli. Kensaku and Dana next to the Holo table at Fanuli showroom in Sydney. Kensaku and Dana chatting at the Holo table launch event at Fanuli showroom in Sydney. More images from the event at the bottom of the page. It’s really not surprising that, in just two short years since he’s established his own studio, Kensaku’s list of clients sounds like who’s who in the design zoo, with names like Boffi, DePadova, Gan, Glas Italia, Kristalia, Ligne Roset, Poltrona Frau, Zanotta and many others in the mix. Not bad. As impressive as his CV sounds, one of the greatest things about Kensaku is this – he is a dedicated hard worker who remains profoundly humble and focused on delivering his best work. He doesn’t seek the lime light. He’s not into all the PR stuff. He is quite shy but so very genuine and super lovely… Aaaaannnndddd after a couple of drinks following our chat at Fanuli, he got up and lied on top of the Holo table with a glass of champagne in hand. Bloody legend! Just quietly, I reckon if I had a bit more time, I would’ve totally brought him out of his shell even more. There’s a wild beast hiding behind that timid exterior. For sure. I can tell these things. After all, Kensaku voluntarily admits to enjoying playing air guitar in his spare time. Case closed. You can find more images from our event at Fanuli in the gallery at the bottom of the post. But before you do that, let’s hear a bit more from this dedicated, hardworking, down-to-earth designer destined for greatness. Respect. Nuno for Zanotta. 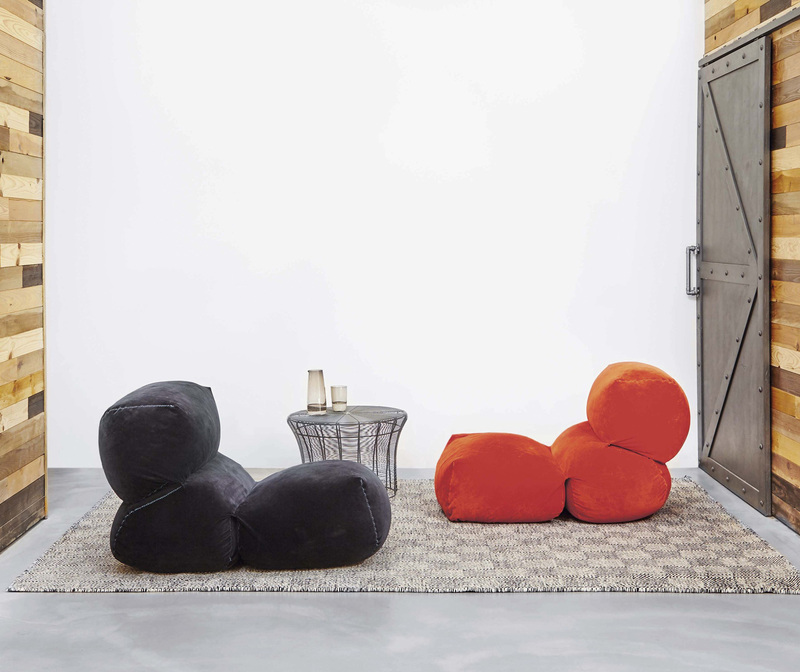 A remarkable, textured accessory inspired by the work of saddlers, with the dual function of sculpture/stool and pouf/storage. Nuno for Zanotta. 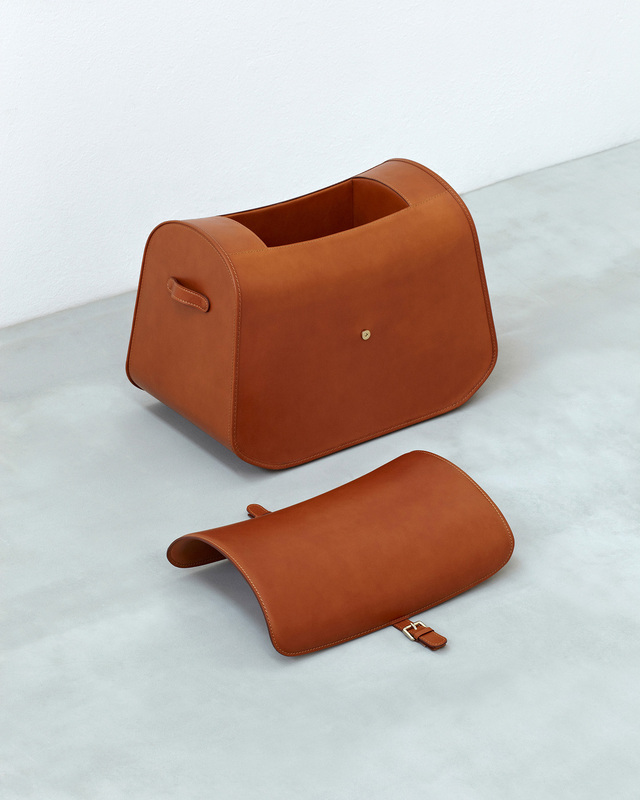 The structure is entirely covered in soft cowhide featuring an opening seat that reveals a cowhide-covered organiser compartment. Attention to detail, stitching, straps, and the sturdiness and the feel of cowhide all contribute to the distinct individuality of this object. Nuno’s attraction only increases over time. Leplì for Poltrona Frau. This collection is inspired by the traditional Poltrona Frau production processes and decorations, combining them with tailoring ideas from the fashion world. 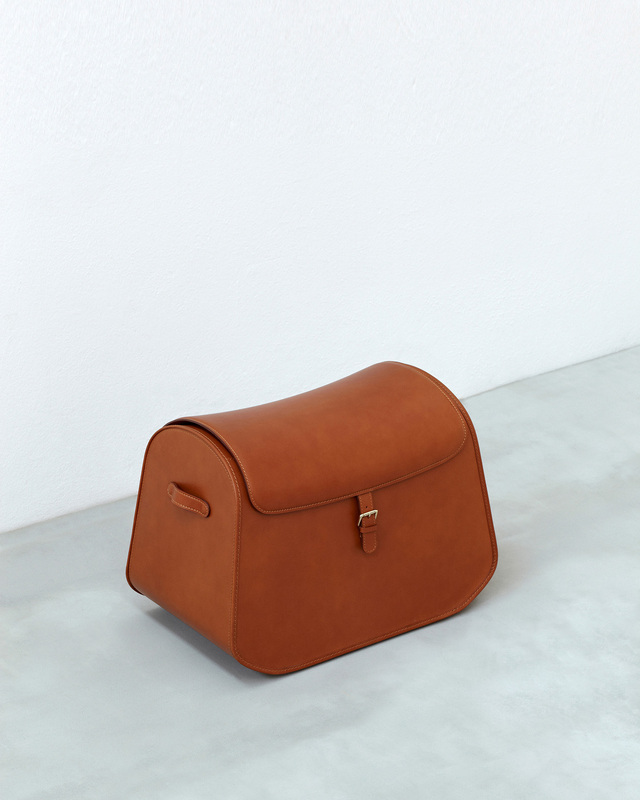 Classic stitching and soft folds enhance the sinuous minimalism of the design. 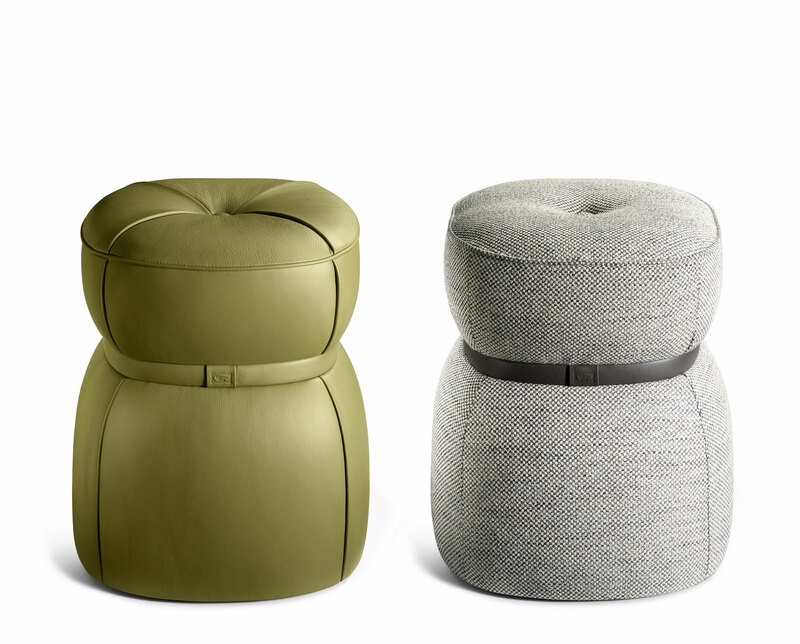 Leplì stools for Poltrona Frau. The voluptuous curves of the stool, are inspired by the female body shape, as if it were a dress, with slender belt highlighting her “waist”. 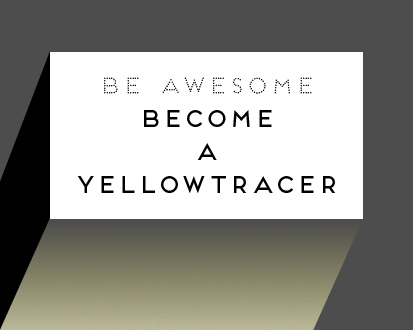 + Hello Kensaku, welcome to Yellowtrace! Could you please share with us your main priority when starting a project? Is there something that is fundamental to your practice? Before starting any project or collaboration, I always try to understand the client’s vision, philosophy and their history. I think this approach is fundamental in creating an original and authentic product. 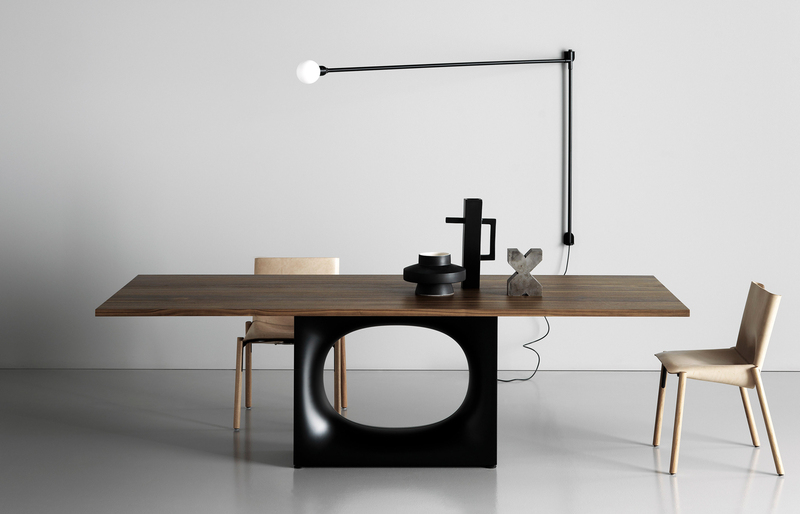 + Your Holo table for Kristalia was one of my personal favourite new releases in Milan last year. Can you tell us a little bit about how this table came about. 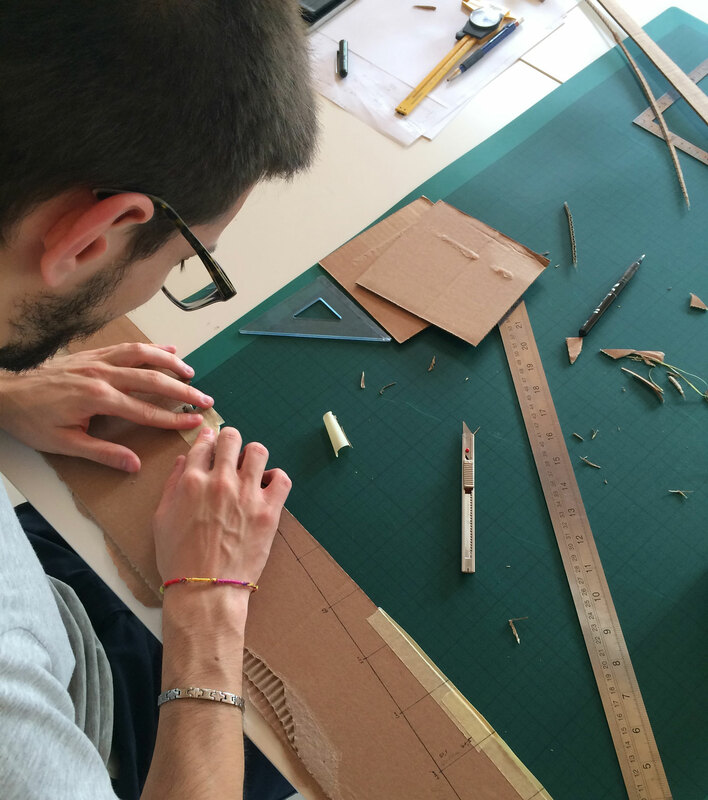 What inspired you to create it, how long did the design and development process take? I was originally briefed by Kristalia they wanted a design for a new dining table. 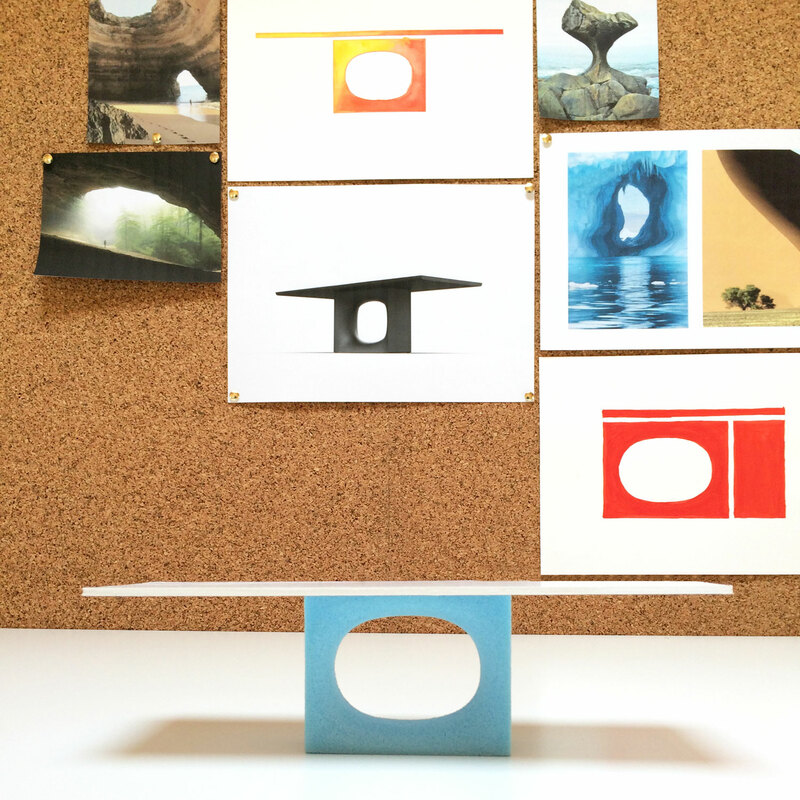 I took almost two months to deeply understand the brief from Kristalia, and to develop the first idea for the Holo table. The main feature of this project is its iconic and sculptural form, and also the technology used to produce it. The base of Holo is made from a single sheet of metal shaped through the technology usually utilised in the car-industry. 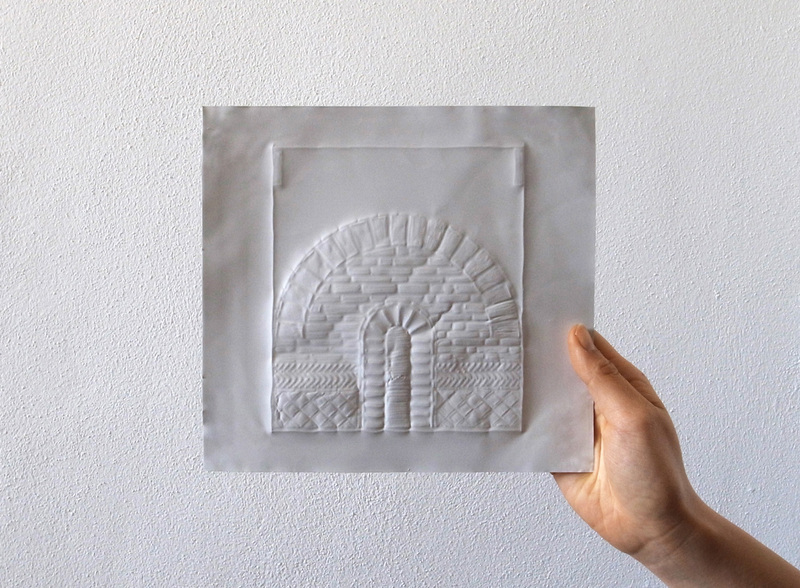 In the end we used as little material as possible to create this beautiful and structurally strong object. 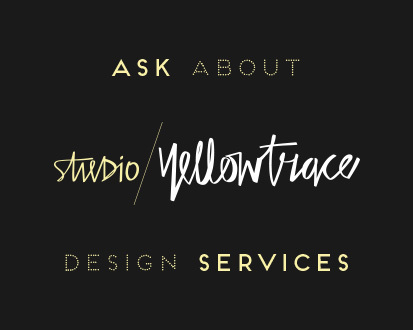 + How is your studio structured? i.e. How many of you work in the studio, what types of skills do you have in-house. And how many projects do you handle at any one time? 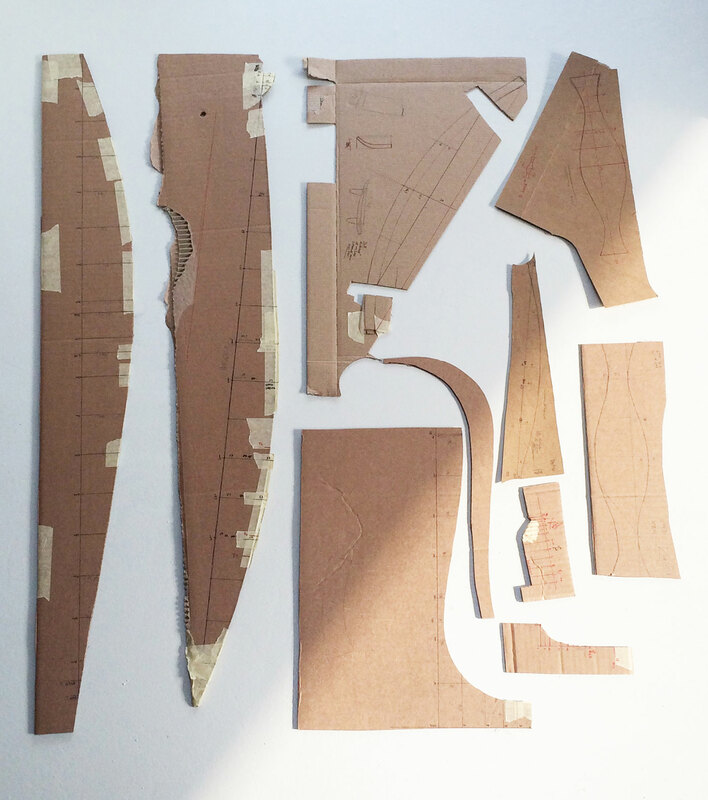 My studio is situated in a quiet Milanese courtyard and it feels like an atelier. I work there alone, but sometime I have a collaborator or an internship student. Anyway, I want to continue working with a small team. I usually handle 5 to 10 projects at any time. 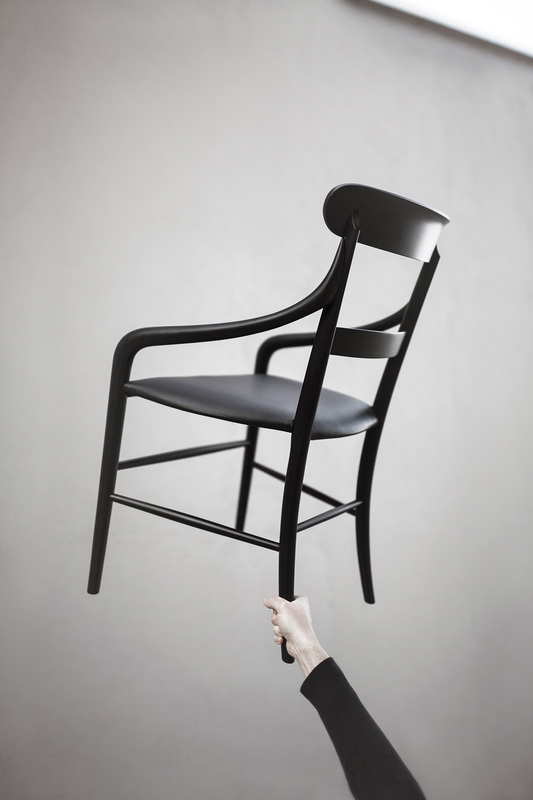 Grapy chair for Gan. Grapy is made of three sacks stuffed with expanded polystyrene pellets and stitched to each other. 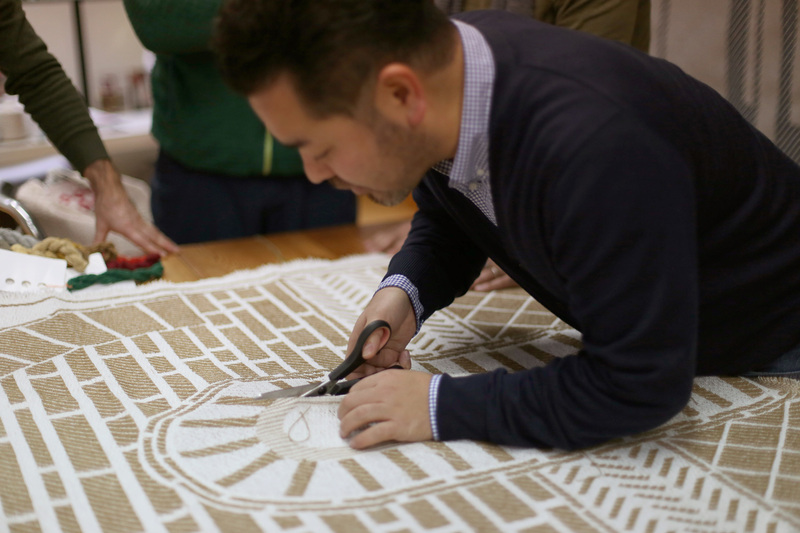 In this way people can play, making a shape following the pattern of the fabric and the comfort is dictated by the density of stuffing. The physical reaction of the material makes its shape. 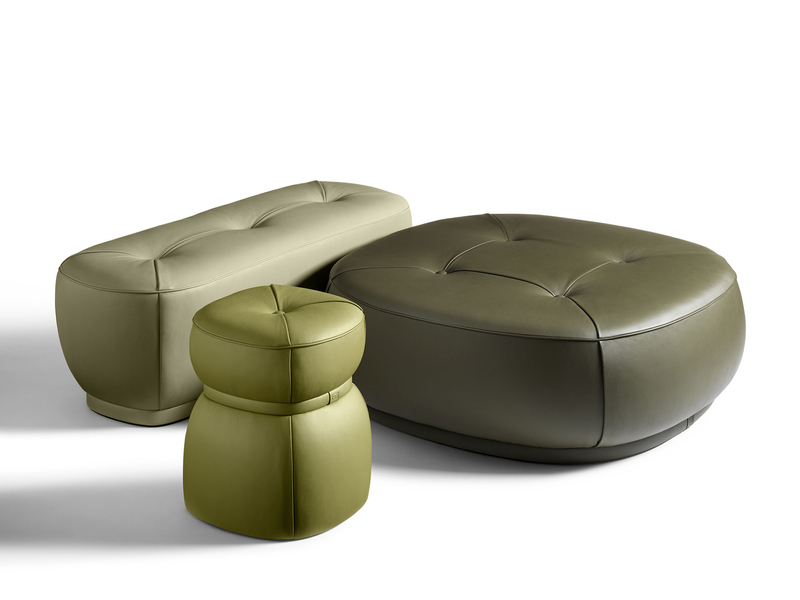 Iko accessories for Boffi. The idea of Iko is to free the bathroom accessories from their wall mounts without taking up too much floor space. 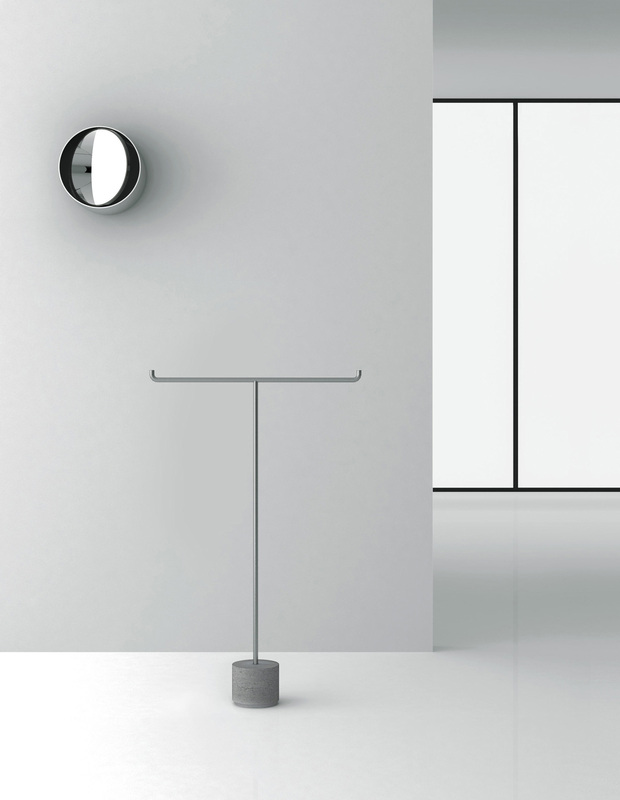 The shape and name are inspired by the Kimono stand used in Japan, implementing a fine balance between base and structure. Sen tables for DePadova. 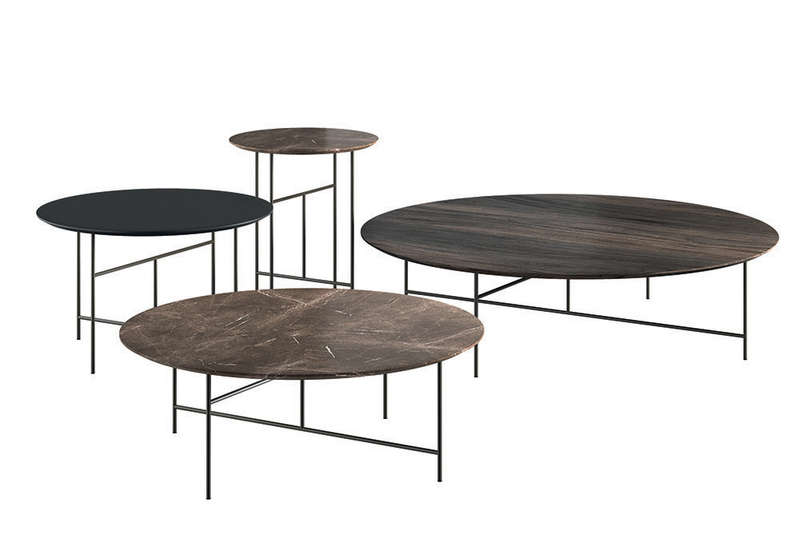 Small round tables with bases in tubular steel, with anthracite grey powder-coating. Tops are available in Greystone and Carrara White marble; MDF veneered in Bog Oak; black walnut; or MDF with nanotechnology surface (FENIX) in matt black “soft touch” colour, with black painted beveled edge. + The design world is quite competitive and it can be difficult to get a break, especially on world stage. Has there been one project, one client, one decision that has changed the course of your career? I had an opportunity to collaborate with amazing brand like , Kristalia and Poltrona Frau during the first year I opened my studio. These collaborations gave me confidence for my future career. + What advice would you give to emerging designers who want to follow your path? What is one of your biggest lessons learned since starting your practice? Don’t hurry. Try to find your own way, step by step. I am currently really interested in working in space that sits between industry and craftsmanship. + What rule do you live by? My old T-shirt with funny illustration of ear and rainbow. Every morning I eat 4 cookies for breakfast. Thank you Kensaku! 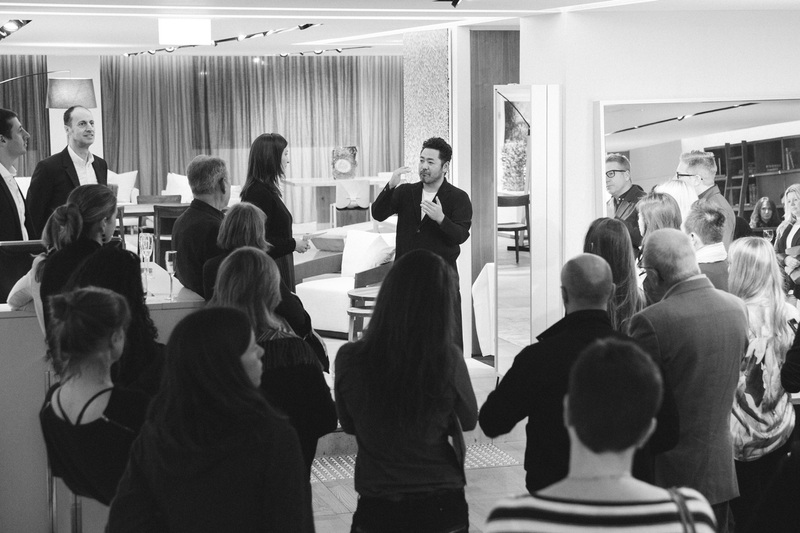 In the gallery below are some images from the Holo table launch event at Fanuli’s beautiful Sydney showroom, during Kensaku’s visit to Australian in June. Cheerio! Был найден мной классный веб сайт , он описывает в статьях про автоматика для секционных ворот. Menu Space in Nordhavn, Copenhagen by Norm Architects.